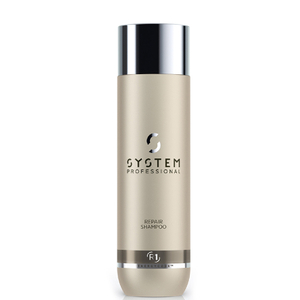 Treat your tresses to The Hero Bundle from System Professional, a trio of nourishing formulas to cleanse, smooth and strengthen locks. The shampoo, conditioner and elixir work in harmony to leave you with radiant, salon-worthy results. Expertly cleansing every strand whilst delivering essential moisture, the shampoo combines an Active Moisture Complex with Pro Vitamin B5 to hydrate and soften; its replenishing properties restore lost moisture and nutrients and help to fortify each hair from the inside out to improve flexibility and health. Helping to maintain optimal levels of hydration, the shampoo tames the appearance of frizz and leave locks looking smooth, glossy and radiant. 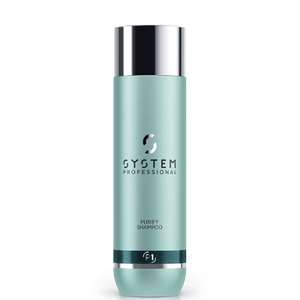 Effortlessly detangle unruly locks with a calming formula developed to hydrate, control and tame hair. Powered by the brand's EnergyCode™ Complex, the weightless conditioner penetrates deep into rebellious, coarse and curly hair to soften and smoothen, whilst fighting frizz to reveal super sleek, salon-worthy results. Hair is manageable and easier to style with enhanced shine. Harnessing the powers of nourishing Argan, Jojoba and Almond Oils, the rejuvenating elixir enhances softness and manageability, whilst promoting a sleek, glossy finish without greasy residue. Can be used on wet hair as a styling aid, or on dry hair for luminous shine. Ideal as a leave-in treatment, a conditioning elixir, a cutting support and a finishing product to eliminate frizz and defend against heat damage, UV rays and mechanical stress. Shampoo: Massage evenly into damp hair. Rinse thoroughly. Repeat procedure if necessary. Conditioner: After shampooing, apply onto towel-dried hair. Comb through and leave for 30 seconds. Emulsify and rinse thoroughly. Apply a selected finishing product and style as usual. Elixir: Apply 2-3 drops of the oil through the mid lengths and ends. Let hair dry naturally or blow dry. Shampoo: Aqua, Sodium Lauryl Sulfate, Sodium Laureth Sulfatye, Cocamidopropyl Betaine, Panthenol, Sodium Citrate, Sodium Xylenesulfonate, Sodium Chloride, Parfum, Sodium Benzoate, Citric Acid, Glycerin, Salicylic Acid, Hydroxypropyl Methylcellulose, Tetrasodium ED. Conditioner: Aqua, Propylene Glycol, Cetyl Alcohol, Stearamidopropyl Dimethylamine, Persea Gratissima Oil, Stearyl Alcohol, Quaternium-18, Parfum, Panthenol, Phenoxyethanol, Cetearyl Alcohol, Benzyl Alcohol, Hydroxypropyl Guar, Glyceryl Stearate, Oleyl Alcohol, Bis-Aminopropyl Dimethicone, Methylparaben, Propylparaben, Polysorbate 60, EDTA, Citric Acid, Limonene, Linalool, Benzyl Salicylate, Hydrolysed Keratin, Benzyl Benzoate, Hexyl Cinnamal, Zein, CI19140, CI15510, Ethylparaben, Butylparaben, Isobutylparaben. 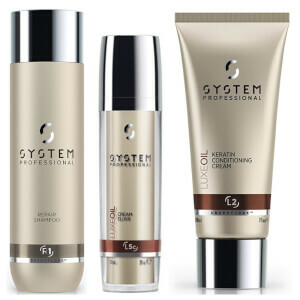 Enjoy a Free System Professional Luxe Oil, Candle & Turban Bundle when you spend £45. Gift automatically added to your basket, while stocks last.